Free Health card is issued to help poor people for free health check up. Arogyasri free health card is given to white ration card holders to get free health assistance in Private hospitals. Arogyasri free health card not only provides free treatment in private hospital but also 10 days free consultation. 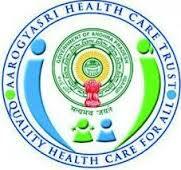 Aarogyasri card is issued by Aarogyasri trust. Arogyasri free health card main aim is to achieve “Health for all”. Especially free medical health to Below Poverty Line People (BPL) and it covers around 2.0 lakhs per family. Furthermore it is applicable to only those who has “White ration card”. Major problems which effect heart, kidney, cancer, etc., covered in this scheme. Aarogyasri free health card can be applied through offline and online also. To get Free health card through online, firstly you need to visit nearest meeseva centre . In addition to this take the required documents and photographs with you, so that it would be easy to apply. Finally after all the attachments are done, therefore submit the documents to meeseva center . you are probably now acknowledged with a receipt. Always keep the acknowledgement with you for the tracking of card. Within a week of 2-3 visit the meeseva center, submit the acknowledge number, consequently to get new aarogyasri health card.